Couples who live together often fall get bored easily because of the familiarity of their routine. The only way that they know to shake themselves out of that boredom is to get outdoors and do something fun together. Sadly there are a lot of when you just don’t want to be outdoors or just want to spend some quality time privately. Take a look at these indoor couples activities that are designed to bring couples together instead of making them feel trapped with one another. Couples that have fun together are couples that are happy together. Board games and card games keep you interacting with one another but give you something to do so you’re not just “hanging out”. 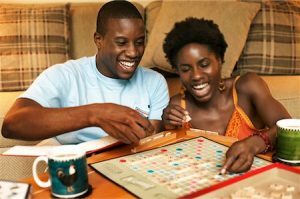 Find a variety of different games from trivia to strategy to the childhood games of your past to enjoy together when you’re hanging out indoors.